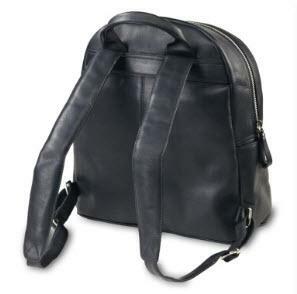 Not too big, not too small... this buttery soft leather backpack can accompany you to work, class or your daily adventures. This style is simple but functional for those that don't want all the bells and whistles. Heavyweight brass zipper unzips to fully lined interior with 2 drop pockets and small zip pocket to keep your smaller belongings organized. Exterior front feature roomy front gusset pocket. Slash pocket on each side for water bottle, umbrella, rolled magazine, etc. Rolled top handle for easy grab and go. 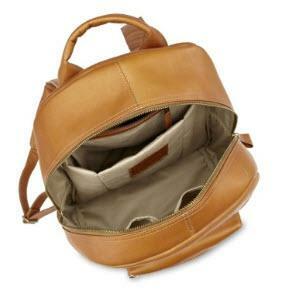 Shoulder straps are lightly padded and length is adjustable. Don't forget to personalize by adding your monogram or name. Price: $255.00 In stock! - Browse this brand: The Pink MonogramOur products are custom made to your specifications. This product ships up to 2 weeks after your order is placed.